Overview of Optical Sensing. Principles of Optical Metrology. Optical Waveguide Sensors. Intensity Measurements: Principles and Techniques. Interferometric Measurement: Principles and Techniques. Fluorescence Measurement: Principles and Techniques. Surface Plasmon Measurement: Principles and Techniques. Adaptive Optics and Wavefront Sensing. Multiphoton Microscopy. Imaging Based on Optical Coherence Tomography. Fiber Sensing: A Historic Overview. Optical Fibers. Point Sensors: Intensity Sensors. Point Sensors: Interferometric Sensors. Fiber-Optic Sensor Multiplexing Principles. Distributed Fiber-Optic Sensors Based on Light Scattering in Optical Fibers. Fiber Bragg Grating Sensors. 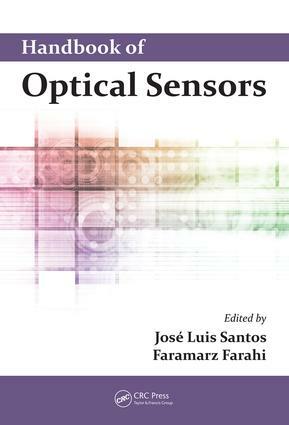 Optical Fiber Chemical Sensor Principles and Applications. Industrial Fiber Strain Gauge Sensors. Standardization and Its Impact on Measurement Reliability. Optical Sensors: Final Thoughts. Jose Luis Santos earned his licenciatura in physics and Ph.D from the University of Porto, Portugal, benefiting from a collaboration with the University of Kent at Canterbury, UK. He is currently a professor of physics in the Physics and Astronomy Department of the Faculty of Sciences of the University of Porto. He is also a researcher with the INESC TEC-Centre for Applied Photonics (formerly INESC Porto-Optoelectronics and Electronic Systems Unit). His main area of research is optical fiber sensing, with a focus on interferometric- and wavelength-encoded devices. He has authored/coauthored over 200 scientific articles and coauthored 5 patents. Faramarz Farahi earned his BS from Sharif University of Technology, Tehran, Iran; MS from Southampton University, UK; and Ph.D from the University of Kent at Canterbury, UK. He is currently a professor at the University of North Carolina at Charlotte, USA, where he is a member of the Center for Optoelectronics and Optical Communications and the Center for Precision Metrology, and has been the chair of the Department of Physics and Optical Science. Dr. Farahi has over 25 years of experience in the field of optical fiber sensors and devices, has authored/coauthored over 200 scientific articles and texts, and holds 10 patents.